“John Wick” is certainly more style than substance, but it’s good fun for the action aficionado. 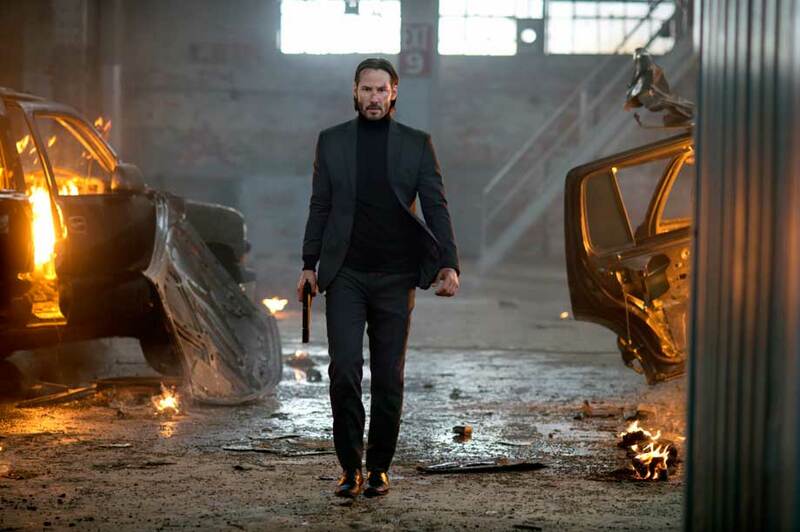 Though it has its moments of stylish stunt and gunplay fun, and there’s certainly potential for interesting stories to be told in the world/underworld it sets up, John Wick is entirely too mired in worn-out action cliches and poor pacing to achieve its full potential. For the action aficionado and Keanu Reeves fan, it’s most likely a good time at the movies, but for anyone else … well, read on and you’ll get the idea. Grieving widower John Wick (Reeves) has his pain and emotional turmoil redoubled when he rebuffs an offer from Iosef (Alfie Allen, HBO’s “Game of Thrones”), the son of Russian ganglord Viggo Tarasov (Michael Nyovist), to buy his prized 1969 Ford Mustang Fastback. Iosef doesn’t take kindly to being refused, and so he and his goons invade John’s home and inflict upon him miseries the likes of which even country western songwriters might find too awful to write into their yarns. But John isn’t the “nobody” that Iosef thinks he is, not even close. As Viggo explains to him while repeatedly gut-punching his woefully ignorant son, John Wick was once the killer of killers, an assassin so ruthlessly efficient, so invisible and unstoppable that his work was the stuff of underworld legend. “He’s not the Boogeyman,” Viggo says. “He’s who you send when you want the Boogeyman killed.” Or he was until he fell in love with Helen (Bridget Moynahan) and literally battled his way out of his life as a hitman in order to be with her. So in other words, in breaking into John’s house and robbing him of everything left that meant anything to him, Iosef did the equivalent of poking a sleeping grizzly bear with a cattle prod while wearing a suit made of meat. Viggo knows this, and he knows what’s coming. The only question is just how many thugs and other professional killers will find themselves in John’s way before he gets to his prey, and just who or what will be left standing in his wake. With its lean and mean script and emphasis on creative action sequence staging, this is precisely the sort of vehicle that Reeves at this point in his career should excel at. In terms of the physical demands of the role, he comes through with flying colors. 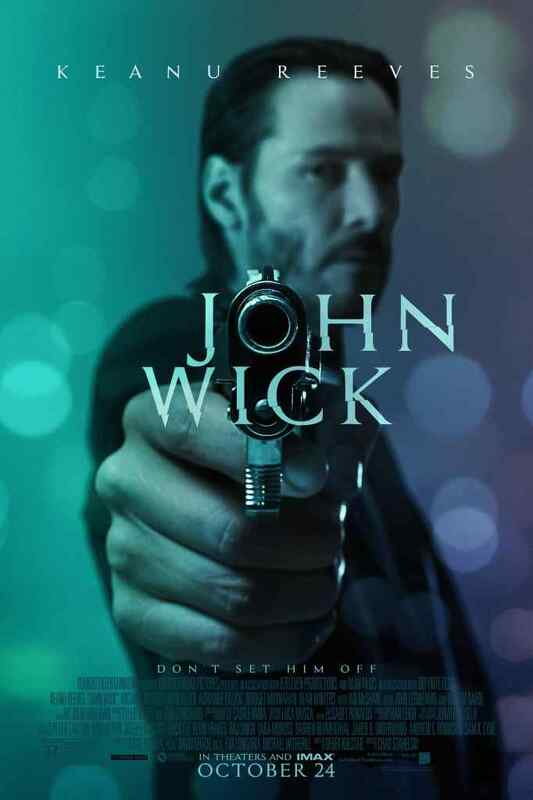 Director Chad Stahelski and his crew have Reeves utilize a blend of martial arts and gunfights fought at point-blank range to give master assassin John Wick a distinctive style of methodical execution, an efficiency and precision of motion that’s fun to watch, even when it gets messy. Action movie fans might find the mix reminiscent of the Kurt Wimmer-directed gun kata films of the last decade, Equilibrium (2002) and Ultraviolet (2006), but what’s here in terms of this manner of stunt work and choreography is more raw, more visceral, more down and dirty, and thus a bit more satisfying to watch. What’s more, Stahelski presents these scenes in a manner that avoids the by-now well-worn action movie-making techniques of quick cuts and overused slo-mo. As a result, what you see as Reeves/Wick moves through a room dispatching bad guys one after the next moves quickly and fluidly. When in the thick of these scenes, Reeves and the film are at its best. The film also establishes an interesting backdrop for the majority of its proceedings, a cleverly-imagined New York underworld characterized by secret doors and hidden passageways, gold tokens required for entry, and above all strict rules for egress and for the conducting of “business.” Follow the rules in this place and its central hub, the lavish hotel known only as “The Continental”, and you’ll be fine, assuming you belong there. Break the rules, and bad things happen, regardless of who you are and what you do. By design, the setting lends itself well to sequels and possibly anthology stories. Because it’s brought to life as effectively as it is here, future visits to that world might even be more interesting than this first one. But alas, the action does eventually leave The Continental, and it does slow at times for Wick to interact with his few allies and many enemies. It is in these moments that things get sluggish. The very impressive cast assembled around Reeves all do what they can to inject energy into the proceedings when things lag, and some are more successful than others. Willem Dafoe, Ian McShane (Hercules, Pirates of the Caribbean: On Stranger Tides), and Lance Reddick (FOX’s “Fringe”) all chip in memorable turns here in small roles, while Adrianne Palicki (G.I. Joe: Retaliation, 2012’s Red Dawn) looks like she’s thoroughly enjoying herself playing Perkins, a fellow killer for hire with a disdain for the few ironclad rules that govern the circles she moves in. Also, having played the spiteful and spineless Theon Greyjoy in multiple seasons of HBO’s “Game of Thrones”, Alfie Allen is a natural choice to play the spoiled, anything-but-tough guy Iosef. Swedish actor Nyqvist (Mission Impossible: Ghost Protocol) rounds out the stellar cast as Viggo, a criminal who’s managed to craft a veneer of civility and sophistication over the ruthlessness and brutality that’s gotten him to his position. He’s his son’s opposite in every meaningful way, and thus he’s a far more likable screen presence, even as a bad guy. But even with all that talent behind him, this is Reeves’ film to carry from start to finish. Thus, for all its flair and moments of fun, it’s the moments where the filmmakers wish you to actually feel something other than adrenaline or exhilaration, the moments that might have otherwise made this film comparable to last month’s The Equalizer in terms of level of overall satisfaction, that fall terribly flat and keep John Wick firmly in the realm of the mediocre. There’s been far less imaginative and exciting than John Wick to come down the pipe this past year, make no mistake. But there’s also been much better. Starring Keanu Reeves, Michael Nyqvist, Alfie Allen, Adrianne Palicki, Bridget Moynahan, Dean Winters and Ian McShane. Directed by Chad Stahelski. Rated R for strong and bloody violence throughout, language and brief drug use.